Please complete the following form, answering questions as completely as possible. We will review the information you provide us and will reply to let you know if your application to volunteer is accepted, and you are registered, or, if we need additional information. If you have any questions please contact Rachel James, Citizen Science Program Outreach Coordinator, citizenscience@cfc.umt.edu (406) 243-6916. 1. PLEASE NOTE THAT WE WILL BE ADDING TRIPS THROUGHOUT THE SUMMER, CHECK BACK OFTEN FOR MORE TRIPS! Please provide us with your contact information: *This question is required. 3. If under 18 years of age, please list the names of parent(s) or gaurdian(s) who will be accompanying you. 4. How did you hear about the Citizen Science Program? *Please check back periodically throughout the summer as we may add more trip opportunities! This trip is full; taking applications for waiting list. Difficulty: Car camping with rugged day hikes on old trails/roads and through off-trail backcountry. The Hidden Pasture Creek WSA (15,509 acres) is located in Southwest Montana, roughly 40 miles south of Dillon, MT. The Hidden Pasture Creek is located in the lower slopes of the Tendoy Mountains. Sagebrush habitat with some forested areas are cut by numerous seasonally dry drainages. The area provides habitat for a bighorn sheep herd. The Blacktail Mountains WSA (17,479 acres) is located approximately 15 miles south of Dillon, MT, and is predominantly forested. Located near sagebrush and riparian habitats, the edge effect of the different but adjoining habitats supports a broad array and abundance of wildlife species. Difficulty: Difficult- backpacking with on trail hiking; significant elevation gain and loss. Vast grassy subalpine basins and lush meadows spread out across a more subdued landscape in the Skyline Ridge country of Cabin Creek and Monument Mountain. As the only portion of the Wilderness adjacent to Yellowstone, the southeast corner of the Madison Range is superb living space for elk, moose, bighorn sheep, and grizzly. On this trip we will focus on social encounter monitoring, mapping of social trails and campsite clean-up. In the Spanish Peaks glaciers carved the valleys into U-shapes, with glacial lakes, knife ridges, near-vertical headwalls, and twenty-five peaks soaring above 10,000 feet. As one of the greatest elevation gains in Montana, this remarkable transition spans the full spectrum of unaltered mountain life zones. On this trip we will focus on social encounter monitoring, mapping of social trails and campsite clean-up. This trip will explore some of southwest Montana’s wildest and most scenic country. Considered an important corridor for wildlife movement, it provides an east-west trending mountain range connecting the Yellowstone Ecosystem with the northern Rocky Mountains. Lower elevation slopes are dominated by stands of Douglas fir with occasional lodgepole pine, Engelmann spruce, alpine fir, and quaking aspen. Higher elevations contain broad alpine meadows with scattered stands of subalpine fir, spruce, and whitebark pine. Difficulty: Difficult- backpacking with on trail hiking a well as off trail navigation; significant elevation gain and loss. A vertical mile of glaciated relief imprints the Taylor-Hilgard with jagged pinnacles, U-shaped valleys and alpine cirques. Some of the prominent landmarks along the crest of the Hilgards include the distinctive summits of the Sphinx, the Helmet, Koch Peak, and the chimney spires of 11,316-foot Hilgard Peak-highest point in Montana outside of the Beartooth Range. On this trip we will focus on social encounter monitoring, campsite monitoring, and mapping of social trails. 6. If you don't see any projects that will work for you this year, but would like to be added to our mailing list, please let us know here. 7. Have you volunteered for the Wilderness Institute's Citizen Science Program before? If so, THANK YOU!, and please tell us when and which project you volunteered on. Physical Condition and Preparedness for Volunteer Trips. 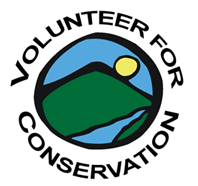 This section of the Wilderness Institute's Citizen Science Program volutneer application is to determine if you are physically capable of engaging in the requirements of the volunteer activities in remote mountain settings, a significant distance from difinitive medical care. We also ask these questions to determine if there is medical information that is important for field leadres to know. The answers will be confidential, and only viewed by field leaders and adminstrative support staff. 8. You are required to have medical insurance to participate in a volunteer trip. Please provide details below. 10. In case of emergency, whom should we notify? 11. Have you had a tetanus shot or booster within the previous 10 years? 12. Are you currently using any medication that the Wilderness Institute field leaders should know about? If so, please list the medication(s), reason for use, any symptoms from under-dosage or over-dosage, and any potential negative interactions with other medications or substances. Do you have any history of the following ailments: respiratory problems, asthma, gastrointestinal distrubances, diabetes, hypertension, bleeding or blood disorders, hepatitis or other liver disease, neurological problems, epilepsy, seizures, dizziness or fainting episodes, cardiac problems, menstrual cramps, disorders of the urinary or reproductive tract. Do you have any history of the following injufries: knee, hip or ankle (including sprains) injuries and/or operations, shoulder, arm, or back injuries or operations, head injury, any other joint problems. Do you have a history or are currently receiving treatment or counseling with a mental health professional, if you currently in treatment or counseling, if you have you been hospitalized within the past year. If yes, please elaborate and include name and contact information of the therapist/physician. Please be sure to inlcude all history of allergic reactions and treatmetns, in your answers below. List any dietary restrictions and/or food allergies. Please describe any other allergies you have. (medications, bee stings, pollen, etc.). Do you have a history of any of the following? Frostbite or Raynaud's Syndrome, acute Mountain Sickness, High Altitude Pulmonary Edema or cerebral Edema, heat stroke or other heat related illness. 19. If you wear a medical alert tag, please describe what it is for, and where it is located. 20. If you smoke, indicate how much/often. 21. Are you underweight or overweight? If so, how much? 22. Are there any other medical problems/situations that the Wilderness Institute field leadres should be aware of? Please explain. 23. Do you have any dietary restrictions? Please help give us a sense of your experience in remote settings. Check the box that best describes you. I've never hiked or camped before. I have camped in a backcountry setting. I camp in the backcountry frequently. Please give us a sense of your experience hiking on rough trails. Our trips will require that you are comfortable and willing to hike several hours with a backpack with your personal gear and food, up to 35 lbs over rolling mountian terrain. I've only hiked on pavement. I've hiked on urban trails. I've hiked on rolling hills. Mountain hiking is not new to me. Off-trail travel is something I've done. I enjoy bushwhacking off trail! I've never hiked over 1 hour before, never with a backpack. I can cover several miles at a time with an overnight pack. 26. Is there anything you'd like to share about yourself to the field leaders? By participating in programs and/or classes through the Wilderness Institute, I knowingly and willfully assume many risks inherent in traveling in remote wilderness areas. Through my participation, I will be expected to complete various activities in which risks may be involved, including certain risks that cannot be eliminated without destroying the unique character of program activities. The same elements that contribute to the unique character of program activities can be the causes of loss or damage to my equipment, accidental injury, illness, or in extreme cases, permanent trauma, disability or death. Certain inherent risks associated with program activities include but are not limited to: the hazards of highway travel, the hazards of backcountry travel (such as river travel, winter travel, and travel in mountainous and desert terrain), inclement weather, the forces of nature, human error, accidents, illness, environmental hazards and exposure, animal encounters, falling rock, and the physical and mental stresses of hiking, skiing, and canoeing in varying climatic and geographic conditions. I am also aware that many activities in this program are physically and mentally challenging. I understand that program activities may occur in remote places, days from medical facilities, and realize that due to the remote setting, evacuations and medical care may be significantly delayed. I am aware of the inherent risks in wilderness travel, camping, and other wilderness activities and agree to assume responsibility for these risks and those inherent risks not specifically identified. My participation in this activity is purely voluntary and I elect to participate in spite of and with knowledge of the inherent risks. I acknowledge that although the Wilderness Institute follows nationally accepted risk management standards, my safety cannot be guaranteed. I also acknowledge that during program activities decisions are made by instructors, group leaders, and students based on a variety of perceptions and evaluations which by their nature are imprecise and subject to errors in judgment. There may also be times when students are unsupervised for portions of a field activity, and will ultimately be held responsible for their own safety and for the safety of others to the extent that their actions have bearing. I understand that participation in this program may require a degree of skill and knowledge different from other activities, and that I have responsibilities as a participant. I understand that the staff and faculty of the Wilderness Institute will provide written materials, hands-on instruction, and be available to fully inform me of the nature and physical demands of program activities and the inherent risks, hazards and dangers associated with these activities, and it is my responsibility to read all materials provided and attend all field and safety instruction throughout the duration of the Wilderness & Civilization program. I have verified with my physician and/or medical professionals that I have no past or current physical or psychological condition that might affect my active participation in this program, other than as described on the Medical Form, and agree to immediately notify the Wilderness Institute of any significant changes relative to the Medical Form. I authorize the Wilderness Institute to obtain or provide emergency hospitalization, surgical or other medical care for me. In consideration of the right to participate in all activities arranged by the Wilderness Institute as a part of this course or curriculum, I will and hereby do, assume all responsibility for the above-mentioned risks, and those inherent risks not specifically identified. To minimize the inherent risks, I agree to accept the direction of the group leaders and comply with all Wilderness Institute practices and policies. In addition, I understand that at any time I participate in any activity against the instruction of the group leaders, that at that time I am no longer part of the Wilderness Institute program and I am acting on my own. By my initials, I am indicating that I have carefully read and agree to the terms set forth by this Acknowledgment of Risk document.